In this modern world where children prefer to play on the PS3 and Mafia Wars, the play grounds reserved for only sports activities are often seen having some sort of exhibitions all the year round which makes the children from playing sports on the said ground. 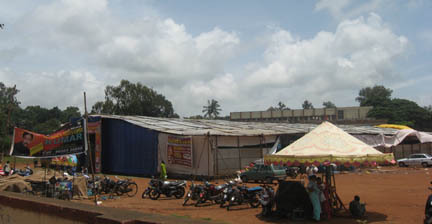 Take for example the Sardars ground where in there is one or the other exhibition held there, as it is centrally located. Read the notice in front of the ground entrance “this ground is reserved for sports activities only” all other activities take place other sports here I believe. 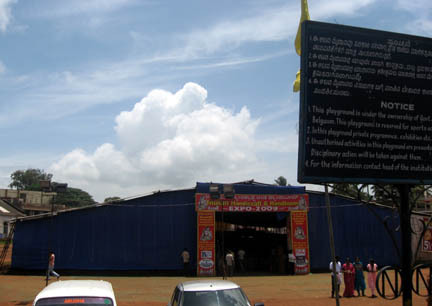 Exhibitions run here for months together and the children cant play on the ground. Parents shout at children do not watch TV go out and play, and the children cant play as the ground is occupied by an exhibition. 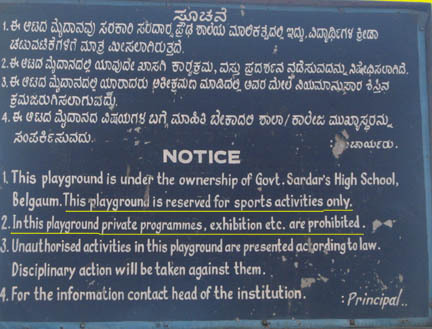 The exhibitors must have taken due permission from the Principal as stated in the notice but for how many days will the ground be blocked and the children deprived of their right to play. We need to think on this, or lese our next generation would only know PS3, Mafia wars, Need for Speed.